When I first started to take pictures of wildlife I used my telephoto lens to create a closeup image of an animal. Lately, I’ve been learning to take photos of animals that shows them in their natural environment, which is often referred to as an animalscape. These images are more challenging, the composition requires more thought and work on the part of the photographer. 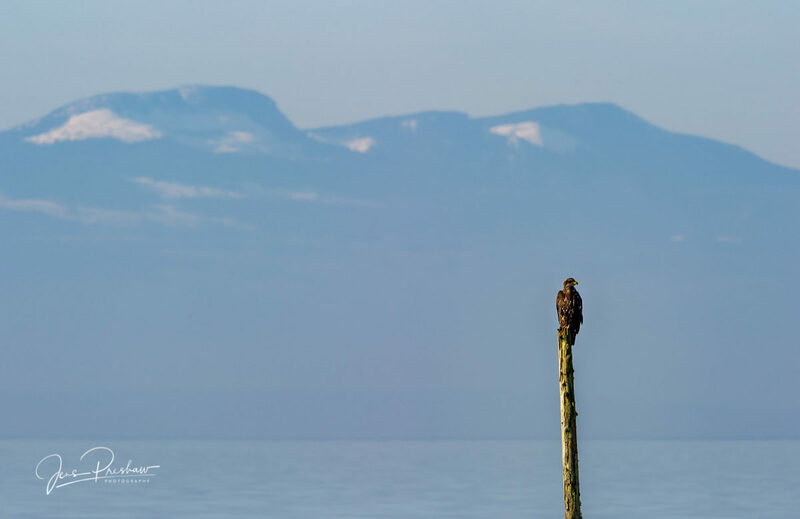 The image below shows a juvenile bald eagle in its natural habitat which includes the wetlands, ocean and mountains. This entry was posted in Animalscape, Birds, British Columbia, Mountains, Science, West Coast, Wildlife. Bookmark the permalink.